It is most refreshing to learn that now Malaysians do know the so called “governance structure” that exist in MCMC on their procurement policies. Of course prior to this, you all and yours truly are not privy to such policies nor we rub shoulders with the mighty powers within MCMC. Now at least Malaysians have been given a free-guided tour on the so-called approval structures on the awarding of contracts/projects in MCMC. That is to say which officer in MCMC has the authority to approve contracts worth RM5, RM50, RM73 million (Ops! typo error) and etc! Of late, Malaysians have been spoon fed with such “top secret”, which are not in the public domain. We better be grateful to that mighty officer in MCMC for divulging the above “top secret” in the blogshpere. For background of this posting please read “Wheeling & Dealing in MCMC?”. However, yours truly is not impressed or interested in the approval structure of contract in MCMC. Surely Malaysians are also not interested in the FORM but SUBSTANCE. Hence, it warrant the earlier posting of “WHEELING & DEALING IN MCMC?”, yours truly was asking MCMC to clarify how could MCMC “PROMOTE COMPETITION” by awarding contract through direct negotiations. Since MCMC chose to invoke its elegant silence, yours truly now call upon YBhg Dato’ Mohamed Sharil Mohamed Tarmizi (“Yg Bhg Dato” Sharil”) , the Chairman of MCMC, to explain why of late so many big contracts were awarded through direct negotiations. Yes to Digital TV but not at all costs. MCMC Boleh! Malaysians got to be grateful to learn that MCMC under the innovative and guidance of its Chairman, Yg Bhg Dato’ Mohamed Sharil Mohamed Tarmizi (“Yg Bhg Dato” Sharil”), MCMC was able to think of appointing a “high powered” consultant firm to run the “Programe Management Office” (PMO) for a recently awarded “National Digital TV Project”. Yg Bhg Datuk Mohamed Sharil Mohamed Tarmizi, the very capable Chairman of MCMC and formerly from BinaFikir Sdn Bhd. Of course, for the benefit of every Malaysian. That’s why we should all be grateful to Yg Bhg Dato’ Sharil. Malaysia is undergoing a change from analog to digital TV for the first time in our history, a project that Malaysia is taking on even ahead of our neighbours in the region. Thanks to Yg Bhg Dato’ Sharil. Yours truly is no consultant, therefore, please don’t ask me what is the function of “PMO” and whether the officers in MCMC could have easily handled the PMO in house. Consultants are very fond of using big word or special terms so that lay men wouldn’t understand. Perhaps we will need to employ another consultant firm to explain what is PMO! 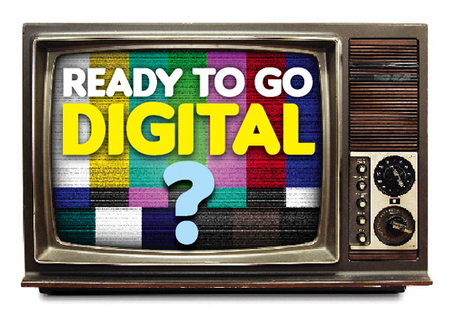 Yours truly has been told that Malaysia is undergoing a change from analog to digital TV for the first time in our history, a project that Malaysia is taking on even ahead of our neighbours in the region. Wow! Malaysians must be proud that we are ahead of Singapore for once. MCMC Boleh! So, with this being the first in the region, wouldn’t we want to invite the best companies in the world to bring their expertise to help Malaysia deploy? Instead awarding contract/project via direct negotiation. Surely, Malaysia wants a “Fikir” then “Bina” mindset and not “Bina” then only “Fikir”, which mindset had caused GLCs to lose hundred and hundred of million of Ringgit! Was the appointment of Orenda Kuantum Digital Sdn Bhd to do the PMO contract/project by way of direct negotiation? What are the background and expertise Orenda Kuantum? Is the PMO contract cost Malaysia more than RM70 million? 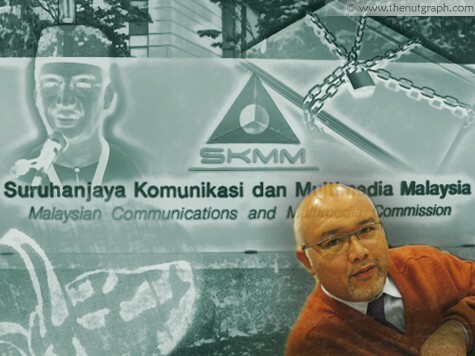 Did MCMC consult the Ministry of Information on PMO before seeking the initial approval? P/s It is hoped that MCMC will not hide behind the excuse that “someone higher up shaft the said decision upon MCMC”. We don’t appreciate the famous TV talk show called “Yes, Minister!” in this blog. The reason being that rumours have it that the Ministry of Finance has rejected the request for direct negotiation on this matter on two occasions. Did MCMC inform that “someone higher up” about the said rejections by MOF? Of course, BinaFikir Sdn Bhd is a great company otherwise in 2008 Maybank Bhd would not have bought it for a whoopping RM8 million. BinaFikir Sdn Bhd was incorporated in January 2002. After a good 6 years it has got many value added factors in the company and all its founders and key people are well placed in organisations related to the government. Previous Wheeling & Dealing in MCMC? Another case of Bina With no Otak let alone Fikir. Now that the cat is out of the bag, Sharil and his kuncu in MCMC must come clean and explain. If there is nothing to hide, just provide answers to the 4 questions posed by YB. I am sure that many Malaysians are regretting for not choosing to become CON-sultants. In Malaysia CON-sultants are paid highly. I should have joined BinaFikir then. YB, how else can the mighty powers in MCMC afford his apartment in London and Melbourne la????? 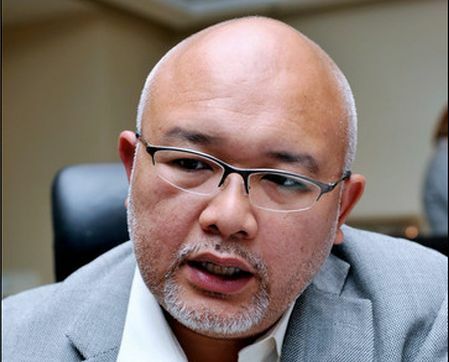 Satu industri tahu yang pengawai tinggi skmm adalah broker yang paling besar di kuala lumpur. Yang mengejutkan ialah tiada tindakan di ambil oleh mana mana pihak terutama sekali macc. Syabas YB atas usaha YB untuk membongkar kegiatan-kegiatan skmm. Malaysia boleh!! Didn’t know that there is a broker in MCMC. What a joke! It is all quiet in MCMC. What happened to its PR section? If the Dato Sharil has no balls to provide the answers tot he four questions, at least the PR will answer them. May be MCMC should hire a blogger on the quiet to answer for them. It is just scandalous!